You may have noticed when you go to the dentist that there’s usually a person who tends to you before you see the dentist or hygienist. That person, the dental assistant, will come in and schedule future appointments, set you up in the chair, and sterilize office equipment. Once the dentist arrives, the dental assistant will often stand by and hand him or her the tools needed to work on your mouth, assist with X-rays and lab work, handle suctioning tools, or jot down in your records what work you had performed that day. 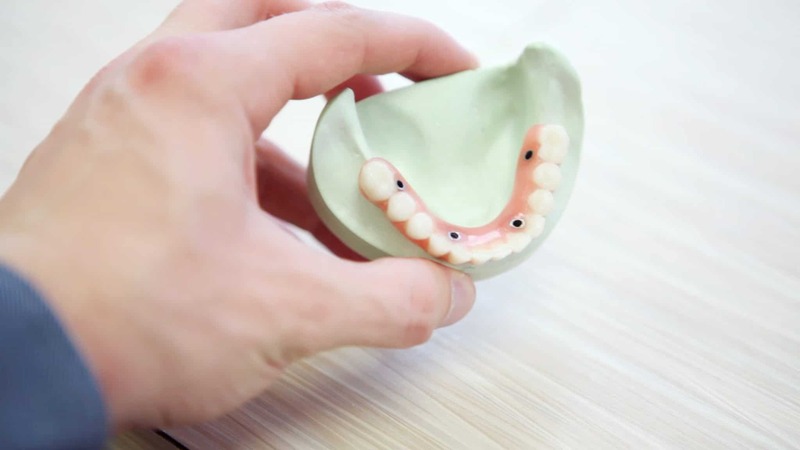 If you’re an outgoing person who enjoys working in a sanitary environment and helping ease patients into a process that many find uncomfortable or intimidating, a dental assisting major could be a viable option for you. What do dental assistant majors study? You typically need just a one- or two-year certificate or diploma program to become a dental assistant, as well as to pass an exam, though rules and requirements vary by state. You may also need to be licensed in some states to do certain dental assisting work, such as radiology or coronal polishing. In your classes, you’ll learn how to use a variety of dental tools and materials, the ins and outs of helping dentists and hygienists with their patients, radiology, CPR and first aid, and how to carry out administrative tasks in a dentist’s office. Interested in becoming a dental assistant? Find the perfect match today using our advanced search tool. So where can you expect your dental assistant coursework to lead you? Dental assistant candidates are in demand. The pay is decent for completing just a one-year program—the median annual salary for a dental assistant in 2016 was about $37,000—and the job outlook is even better: From 2016 to 2026, there’s a 19% expected growth rate, determined to be much faster than the average for other careers. There’s potential for advancement with further education. If you discover you love working in a dentist’s office but are itching for a higher salary or more responsibility, you’ve already got the basics of good dental health down—now you can apply it to more lucrative professions within the field. With a degree in dental hygiene, for example, which typically involves a two- or four-year degree program in addition to the education you already have (you may even be able to transfer some of your previous credits over), you can bring home a much higher paycheck: The median salary for a dental hygienist in 2016 was about $73,000. And if you’re really feeling ambitious and are willing to put in the hard work ahead, you can complete an undergrad degree in the natural sciences (biology is a decent choice), head to med school, and become a full-fledged dentist, which boasted nearly a $160,000 median salary in 2016. Every day will be different. Your daily tasks may be basically the same, but you’ll be interacting with different patients, which keeps the routine interesting and you on your toes. As time goes on, this experience in dealing with various personalities will make you more comfortable in your role, which in turn will set your patients at ease as you gain confidence. There’s a lot of small talk that’s involved, too—you might hear some pretty compelling life stories during your daily doings. There are a variety of types of dentistry you can pursue. If you like children, you can vie for a job in a pediatric dentist’s office. Or, if you enjoy helping people look their best, you might try to find work in a cosmetic dentistry capacity. If you’d like to assist people dealing with more serious diseases, working for an oral pathologist may be the best path. The point is, you can likely find an assistant position that best fits your own personality and career goals, yet still easily switch to another area without too much trouble if you get bored and are seeking a bit of a change down the line. You’ll be helping set kids and adults on the path to better dental health. Nothing makes people smile more than … well, a bright smile, and you’ll be playing a big part of that as a dental assistant. People may not always love coming to the dentist, but by the time they leave, they’re usually feeling fresh and clean and relieved that the appointment is over and all of their dental needs met. If you’re good with kids, you may especially enjoy teaching some of your younger patients about best practices for oral hygiene. You may also be able to get a side gig speaking at a school or a nursing home to educate kids or the elderly on how to take care of their gums and teeth.